Nail salons, like so many areas of the beauty industry, are unregulated and, as the number of salons increases so does the number of claims for negligence. If you have suffered injury as a result of poor and negligent service while visiting a nail salon or spa Cohen Cramer can help you claim the compensation you deserve. 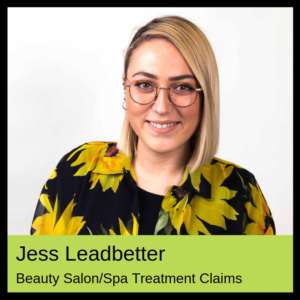 One of the main problems is that a lot of salons, as well as having poorly trained and unqualified staff, use acrylic products that contain methyl methacrylate (MMA). MMA is a substance that has its origins in dental and bone work, but is wholly unsuitable for use in manicures and has been linked with a number of serious conditions. It is not in itself hazardous just unsuitable for false nails as it does not adhere well to the true nail and so the ‘technician’ is required to roughen up the natural nail to allow adherence resulting in damaged and thin nails. Furthermore, the false nail made from MMA sets rock hard causing problems when removing. Your claim can be dealt with on a no win-no fee basis so that, if your claim is not successful, you won’t pay us a penny for the work we have done on your behalf. If you feel that, as a result of poor service you have sustained an injury then call us today; you can speak to a lawyer who has the experience and knowledge to give you the clear, expert advice you need. We will talk you through your options and how we can help you claim the compensation that you deserve. The main part of your claim will be based upon the pain and suffering that can result from a fungal infection or similar as well as any long-term impact this may have on your health and wellbeing. What will cost to make a nail compensation claim? If we can help you with your claim we can do it on a no win-no fee basis so that if your claim is not successful then you won’t have to pay us a penny for the work we have done on your behalf. enter your contact details in the box at the bottom of the page. We will get straight back to you.